I recently acquired these dolls because they intrigued me so, but I can't find anything out about them! There are no marking, no tags...nothing. 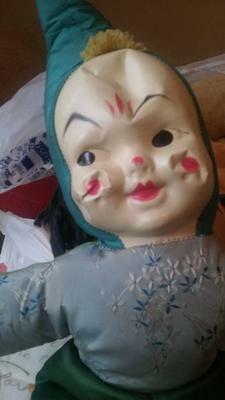 I randomly came across the mask face dolls while searching, and they seem to fit this mold, but I would love to know more information about them and what they may be worth. 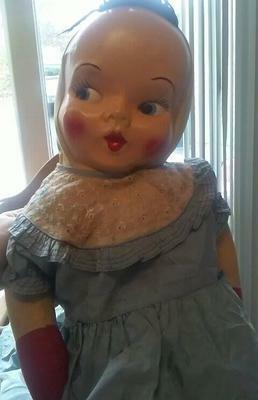 If anyone has any information it would be welcomed!The one with the pointed green hat is only about 16" tall, the other is about 2-2.5 feet tall with red "hands" and shoes. They look more like mittens and boots.